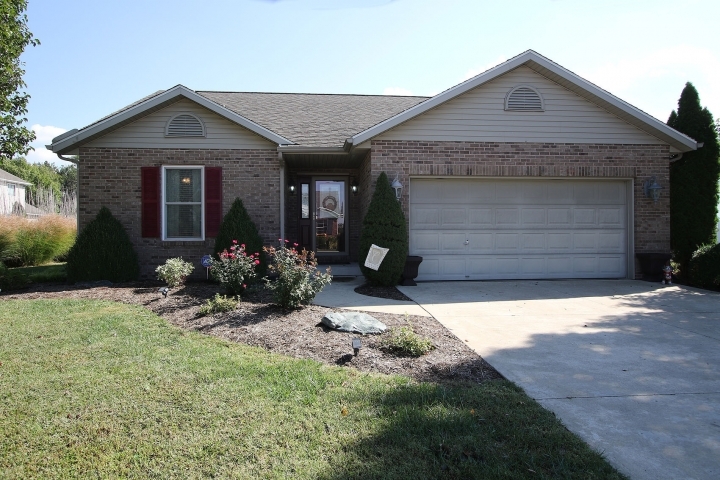 Beautiful move in ready 2 bed/2 bath home in Greenleaf Estates. Peaceful setting, amazing yard with a great patio and professional landscaping. Custom interior paint, large kitchen with white cabinets, white appliances and stainless sink. Master bedroom has a huge walk in closet and master bath. Ceiling fans in both bedrooms. All appliances are included. Unfinished basement is huge and just waiting for you to finish. Two car attached garage. Main floor laundry room with a sink.